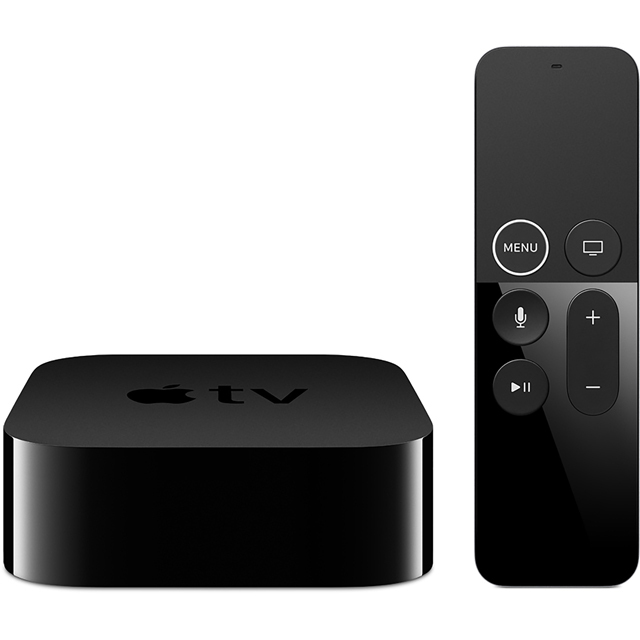 Get the ultimate viewing experience with this 64GB 4K Apple TV box. It can access a whole host of apps and streaming services, giving you plenty of entertainment, and will stream them all in 4K quality for breathtaking images. You can access Apple’s app store from within the device, so you can download new services, or even purchase shows and films from iTunes directly. There’s no need to hunt down the back of the sofa for the remote as you can use your iOS device for control - just connect to your WiFi and you’re ready to go. We have the previous Apple TV boxes but bought this due to the 4K capability and BT Sport app. It’s a much better product than the older boxes although the remote is a little tricky at first. ao.com is always a joy to order from. The 64Mb version was as cheap as the 32Mb and cheaper than most outlets. The devices easy to connect, easy to set-up and intuitive in its operation. Shame there aren't any simple user instructions but in this age its almost a given that Google has the answer. Delivery was quick and would definitely recommend as a supplier of domestic items. Truly on the Apple highway now. iMac, iPad, iPhone and now Apple TV. Extremely easy to set up. Very pleased with this product. This Apple TV4K is exactly what you would expect of an Apple product, beautifully designed, small yet powerful, with great functionality. Even though I don't think Apple is ahead of the game in the TV box area, it is definitely providing everything the competition has, coupled with the Apple know-how which makes it worth the extra £. With a lot of other cheaper products available, this is head and shoulders above the others. 4k, clean looking interfaces and a ton of other apps to download through iTunes make this a perfect media center device.